Inside view of the stone ledge displaying the strata. This is more monochromatic than the bed face or roughback. 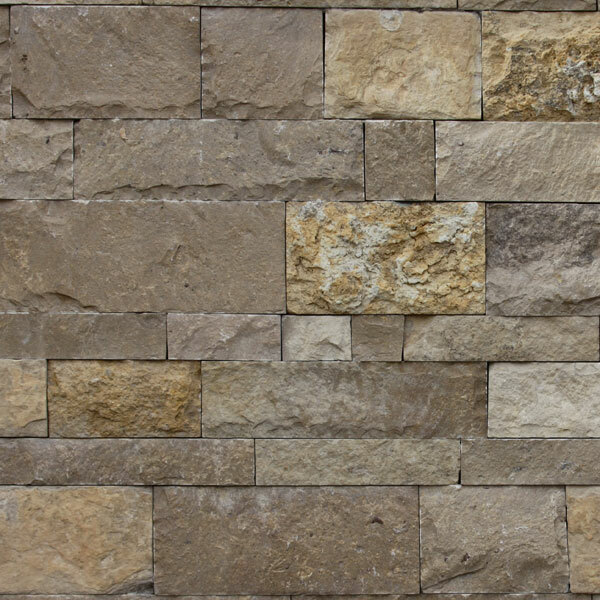 The interior face of the stones include various shades of gray, blue, cream, tan and brown. Face Heights 3" ­ 12"
Can be customized to 2" face height to accommodate the mid­century modern style popular today. Can be sawn top and bottom. 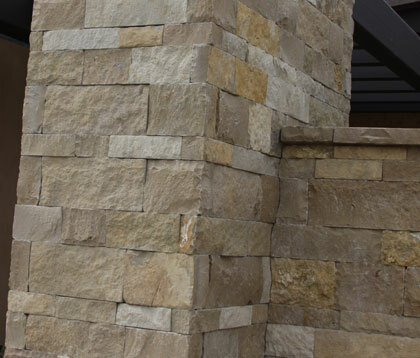 Contact Champion Stone today to discuss your project and specifications via email or phone at (325) 548-2568. 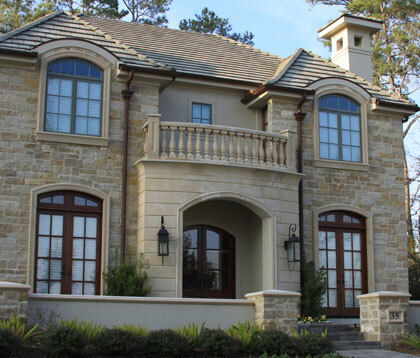 We work with designers, architects, custom home builders, commercial builders and developers, pool and landscape companies as well as re­sellers and homeowners. Your project and success are important to us. We are here for you.